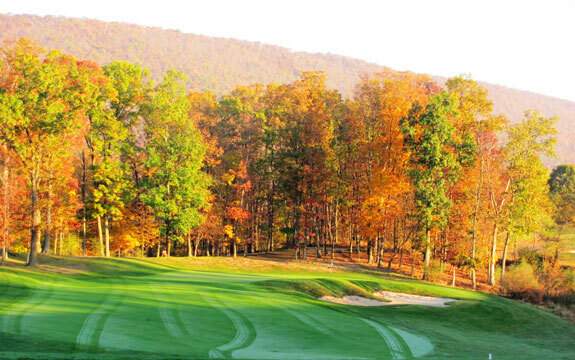 Situated on 3000 acres in Western Maryland’s Allegany County, Rocky Gap State Park is home to Rocky Gap Casino Resort and the States only Jack Nicklaus signature design. 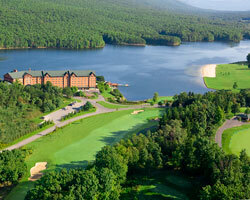 Surrounded by rugged mountains the course and the resort are located at the foot of Evitt’s Mountain on the shores of Lake Habeeb adjacent to the park entrance at Exit 50 off the I68 just east of Cumberland. 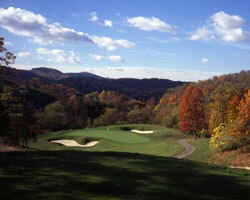 Nicklaus created a five tee deck layout at Rocky Gap that is playable for golfers of all abilities. The back tees offer a serious shot making test for the low single digit handicapper while the front tees allows the novice to have an equally pleasurable experience. 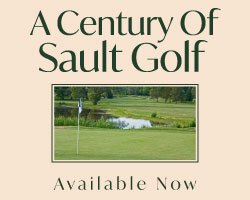 Opened in 1998 the course presents two distinctly different nines. 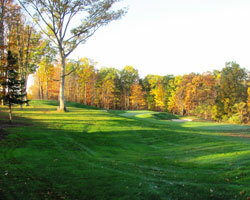 The front nine is routed through mountainous terrain with dramatic elevation changes on many of the holes and the corridors are carved through a dense forest of hemlock, oak and pines. Fairway bunkers are few on the front side as the elevation changes, tree lined fairways and narrow green complex’s offer ample defense. In contrast the back side offers a more open rolling terrain through meadows where strategically placed sentinel trees, crossing hazards and fairway bunkering are common features standing guard to protect par. Flintstone, MD. The course is located east of I70 north off I68 at exit 50. Justifiably handicapped #1, the third hole demands a long accurate drive avoiding trouble on both sides and a steep rough covered swale that begins at the 150 mark spanning some50 or so yards. A mid to long iron is required for the approach to an elevated multi-tiered green site. The prudent player will ignore the back right pin position for a deep bunker protects the right half of the green and will swallow up the less that perfect approach. The par 3 fourth hole may not intimidate you with its length but when you have a long narrow sloping green complex protected by bunkers all around and the fronting bunker is nicknamed the “black hole”, you may find yourself squeezing the grip of your short iron a little tighter. The meadow section of the course begins at the tenth tee. 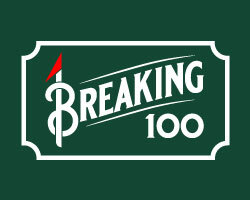 This risk reward par 5 stretches out to a beastly 559 yards. Having avoided bunkering on both sides, long hitters can take advantage of the downhill landing area which will add the few extra yards needed if reaching the green in two is the goal. However, a purely struck long iron or fairway wood off a tricky downhill lie is required on the approach to carry a hazard that crosses directly in front of the green. The dogleg right par 4 14th is a hole where a brains over brawn plan is the strategy of choice. The tee ball must avoid two fairway bunkers that protect the inside corner of the dogleg to find the fairway shy of the 150 yard marker. Anything hit inside 150 risks running out to a crossing hazard which is not visible from the tee. The remaining approach is uphill to a dance floor that slopes from back to front. The short right miss hit or the pull left will find sand while OB awaits the wild right or long shot. A par on #14 will give you honours on the 15th tee more often than not!